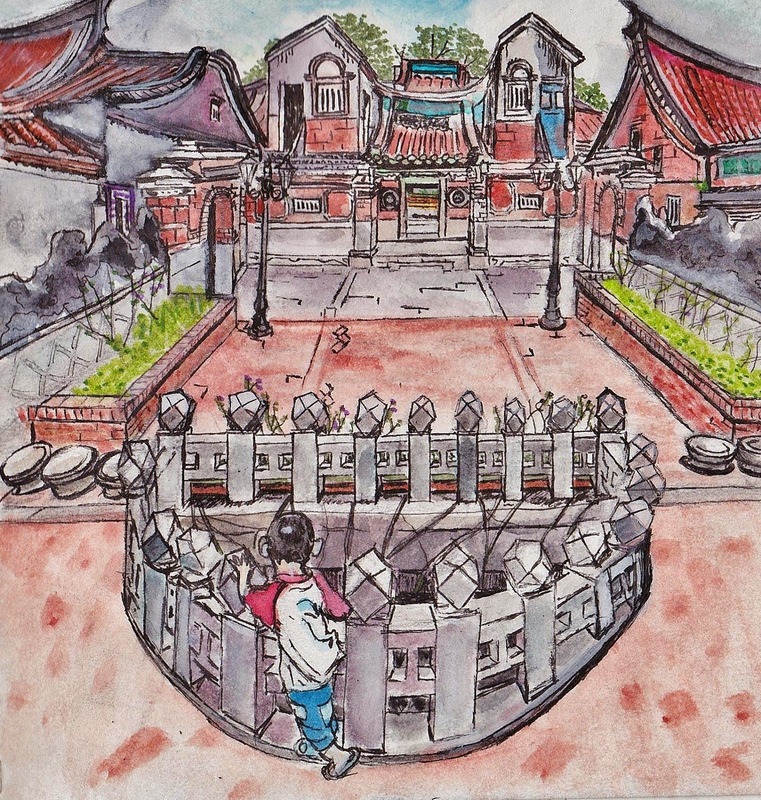 A Belated Virtual Paintout Post- Kinmen Island | Oh Sarah O ! I love how The Virtual Paintout has encouraged me to explore and sketch far off places that I would have never considered or been able to visit in real-time. I decided to sketch another location from The Virtual Paintout archives. This time I explored Kinmen Island "*which is part of a small archipelago administered by Taiwan. Administratively, it is Kinmen County of Fujian Province, Republic of China (ROC). The county is claimed by the People's Republic of China (PRC) as part of its own Fujian Province's Quanzhou Prefecture"
I spent the most time on this Virtual Paintout sketch to date as this drawing took me 3 weekends (and a few weekdays) to complete. I decided to omit the mother, father, and baby from the sketch because I thought it would give the image a stronger narrative. *Quote borrowed from The Virtual Paintout website.